The friendly folks at Grassroots Motorsports magazine have included a few tips in their November issue for upgrades to the FIAT 500 Abarth. 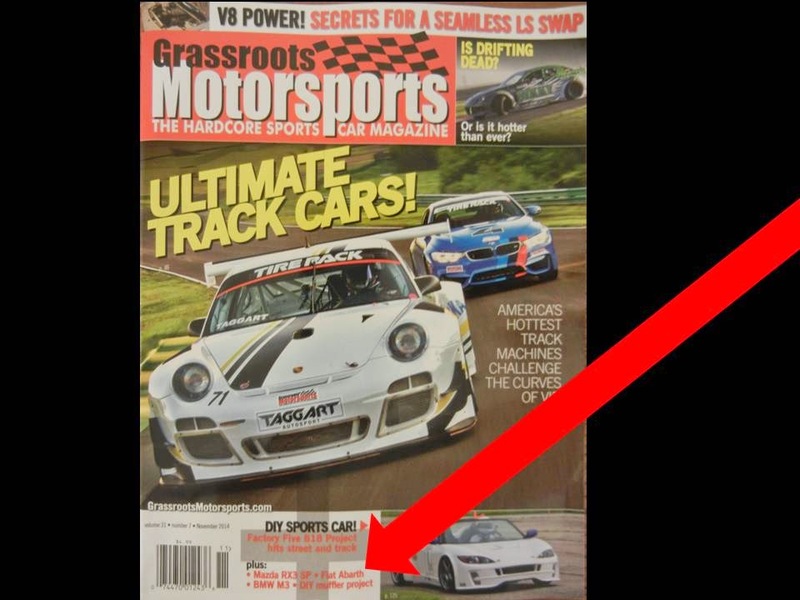 If you can follow the big red arrow in my photo and read the tiny print, it really does say FIAT ABARTH on the cover. Inside the magazine, look for the article titled "Zesty Italian"! There are plenty of other articles and lots of photos in GRM every issue, so we can highly recommend this magazine to be on your reading list!